What does it like to work in a multinational company? 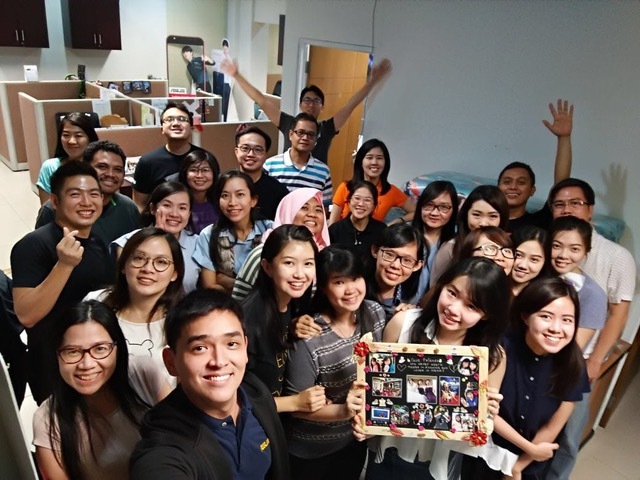 In this article, IM Columnist Astrid Kohar share the story of Vina Tendean who works alongside foreigners in a Taiwanese multinational company in Indonesia. 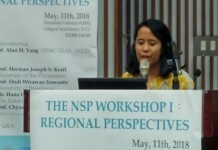 A graduate of the Faculty of Computer Science of Tarumanegara University, Vina is currently working as a marketer in a major technology-based multinational company in Indonesia. Of course to score a position in a very prestigious multinational company is no easy feat. Often, candidates would need to pass a rigorous and grueling selection process in order to be gain admission to the organization. This however does not apply to Vina’s case. Not only did she not need to undergo a long, arduous selection process, but Vina was actually the one approached and offered a position by the company! It all began when Vina joined a student organization supervised by the company during her university years. Being one of the committee members in the organization, Vina was able to gain new skills and knowledge outside her academic pursuit. For instance, Vina learned on how to prepare business proposals and hold exhibitions and workshops. However, in addition to the new knowledge and skills, through the organization, Vina was able to network with the superiors and staff of the company supervising the student organization. It thus came as no surprise that later on Vina was later offered for a position in the company. VIna’s first role in the company was Channel Marketing, where she was in charge of channel visibility, i.e. from production, negotiation and choosing the best materials for products to be manufactured by the company. Although her work in the company is far from what she learned at university, Vina was grateful to have good mentors and colleagues which taught her and helped her along the way. She was particularly grateful to have been introduced to a Taiwanese foreigner working in the company as the country manager, who later on taught her on how to negotiate in a good way, how to work as a team, how to get the best result from her work. One of the challenges working in a multinational company, according to Vina, is the strong requirement of fluency in English. As she constantly needs to interact and work with colleagues from outside Indonesia, mastery in English is not something to be bargained about. At that time, Vina’s English was not at the level she would like it to be. Nevertheless, being someone who loves challenges and always looks for improving herself, Vina was relentless in improving her English fluency, such as watching more movies in English (FYI, Vina is an avid fan of Taiwanese movies, so at that time Vina had to ‘persuade’ herself to watch more Western movies in order to improve her English) and listening to more English-language songs. Apart from using her hobbies to study English, working at a multinational company—where she is expected to deliver presentations, answer emails and discuss matters in English—also provides her with a good training ground to improve her language skills. Eventually, Vina’s hard work paid off. After a 1-year stint in Channel Marketing, Vina was promoted to become a Product Marketing Officer, where she is responsible to develop marketing strategies for the company’s various products. Vina was very grateful as due to the mentorship and experience she obtained during her previous role, she was able to quickly adapt to her new role in the company. According to Vina, there are lot of benefits when one works in a multinational company. For one, working in a multinational company allows Vina to visit various offices in different countries where she can meet and work with a diverse group of people from different countries and backgrounds. As such, this experience allows Vina to be exposed to new ways of thinking as well as boosting her confidence in communicating her views and of course, improving her English skills. And not only English, being an avid fan of Taiwanese/Mandarin-language films herself, meeting people from many different countries also allow Vina to practice the Mandarin skills she already acquired from watching many Taiwanese films. That is why even though Vina has never formally studied Mandarin abroad, Vina is now fluent in Mandarin (thanks to her frequent interaction with Mandarin-speaking colleagues and business partners). 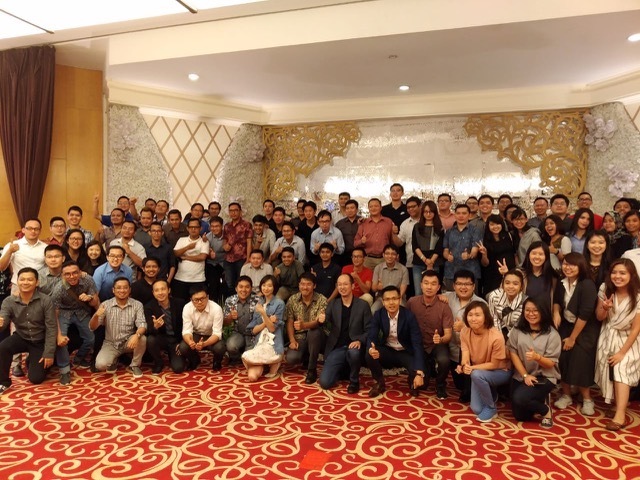 Though as explained above, meeting people from outside Indonesia is an exciting and rewarding experience, working with people from around the world sometimes has its own challenges. When working with foreigners (who come from different backgrounds and cultures, and therefore might have values and beliefs different from ours), it is possible that there might (understandably) be some misunderstanding or differences in opinion along the way. This happens in Vina’s work as well where she at times, may encounter some challenges in aligning her visions or views with her foreign colleagues/business partners. However, all of these challenges do not wear Vina down. Instead, they have shaped Vina into someone who is not only now more adept at dealing with differences in opinion, but also have improved Vina’s ability to assertively communicate her views as well as sharpening her problem-solving skill. A law and business enthusiast, Astrid is currently pursuing her budding career as an attorney at one of Indonesia's oldest international corporate law firms. She holds a Bachelor's Degree from Universitas Gadjah Mada (Indonesia) and a Master's Degree from University of Cambridge (UK). Having spent a year in Beijing, Astrid is fluent in Mandarin. In her spare time, Astrid enjoys reading, shopping and daydreaming about more bags to collect.